4. Confirm the license file is issued to correct host-id. - The RSPAN Vlan needs to exist in the Vlan database of the source switch, the destination switch and all switches in the transit path between them. It also needs to be allowed on all Trunk ports between the source and destination switches. - The RSPAN VLAN cannot be VLAN 1 (the default VLAN) or VLAN IDs 1002 through 1005 (reserved for Token Ring and FDDI VLANs). The source interface above will be your Internet port that you need to monitor and the Vlan ID for the remote VLAN will be your newly created RSPAN Vlan. The source Vlan will be the RSPAN Vlan and the destination interface will be the port that you want to output your packets to. 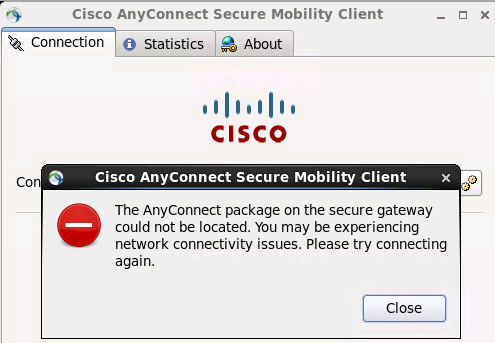 Error: Cisco AnyConnect VPN Client The AnyConnect package on the secure gateway could not be located. You may be experiencing network connectivity issues. Please try connecting again. 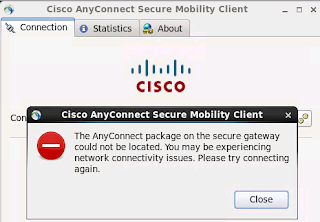 You have to upload or locate Anyconnect .pkg file on the ASA. Do a "show run webvpn" on your ASA to check the above. 1. Select Device > Setup > Operations and Export "Export named configuration snapshot." 2. Select the XML file that contains your running configuration (for example, running-config.xml) and click OK to export the configuration file. 3. Save the exported file to a location external to the firewall. You can use this backup to restore the configuration if you have problems with the upgrade. 1.Select Device > Dynamic Updates. 2.If the firewall is not running the minimum required update, Check Now to retrieve a list of available updates. 4.Locate and Download the appropriate update. 5.After the download completes, Install the update. STEP 3: Determine the upgrade path. 2.Locate and Download the version to which you intend to upgrade. 3.After the download completes, Install the update. If you are not prompted to reboot, select Device > Setup > Operations and Reboot Device (Device Operations section). NOTE : You cannot skip installation of any major releases in the path to your target PAN-OS version. Therefore, if you intend to upgrade to a version that is more than one major release away, you must still download, install, and reboot the firewall for each intermediate major release along the upgrade path. Download and install PAN-OS 6.1.0 and reboot. Download and install PAN-OS 7.0.1 and reboot (7.0.1 is the base image for the 7.0 release, not 7.0.0). Download PAN-OS 7.1.0 (you do not need to install it). Download and install PAN-OS 7.1.5 and reboot. STEP 4: Verify that the firewall is passing traffic. Select Monitor > Session Browser. If you have more than one chassis configure it in the same way using different management IP address.